Amelia Earhart's plane disappeared in 1937 and it remains one of the world's enduring mysteries. Now, explorers are excited about new evidence that could confirm that artifacts found on a remote South Pacific island are from the wreckage of her plane. WASHINGTON – Amelia Earhart’s plane disappeared in 1937 and it remains one of the world’s enduring mysteries. Now, explorers are excited about new evidence that could confirm that artifacts found on a remote South Pacific island are from the wreckage of her plane. The National Group for Historic Aircraft Recovering is making its 11th trip this coming fall to the island of Nikumaroro where increasingly, evidence of a plane crash there points to the Earhart wreck. The TIGHAR team of archaeologists and plane crash recovery experts are going back yet again to connect the dots they know of, and experiment with new technology which could help them uncover more. “My personal goal is to find out for sure what happened to Amelia Earhart. If there’s a whole chapter of her life surviving as a castaway on a waterless Pacific atoll. We should know that,” says TIGHAR executive director Ric Gillespie. The collected details thus far are these: Human remains were found on the island three years after Earhart’s plane disappeared that are believed to be a woman’s. 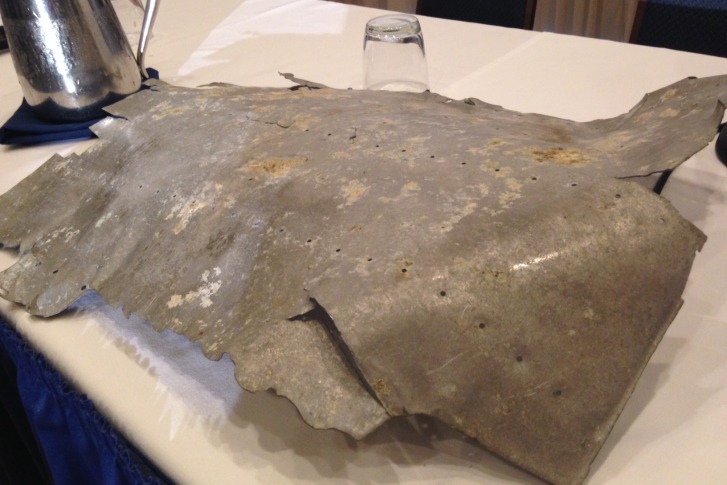 There is a piece of plane fuselage that the team’s director believes washed up on shore many years ago which has rivet marks that match repair records of Earhart’s Lockheed Electra. Finally, campsite artifacts recovered on the island date to the 1930’s and were manufactured in America. Some of those items were a women’s compact and freckle-cream jar manufactured in the U.S. around that decade. “The fact that we have artifacts from the ’30s from America on this island doesn’t mean they were Earhart’s, but if they’re not Earhart’s we’ve got to ask, ‘Whose were they?’,” says archaeologist Thomas King. He is concerned with preserving whatever the team finds on the island or around its reef slope. He pointed specifically to any remnants of the plane, which was aluminum, submerged for this long would be particularly difficult to bring back for lab testing. “I’ve seen aluminum come out of salt water after 40, 50 years and practically explode. It just has a very dramatic oxidation. So you really want to be very careful and anything we find is going to have to be either left down there or brought into a controlled environment very quickly,” King says. The island of Nikumaroro is uninhabited, very hot and full of wildlife, Gillespie says. The group is looking for sponsorship and funding, even reserving four spots for individuals who want to pay to experience the exploration first-hand.